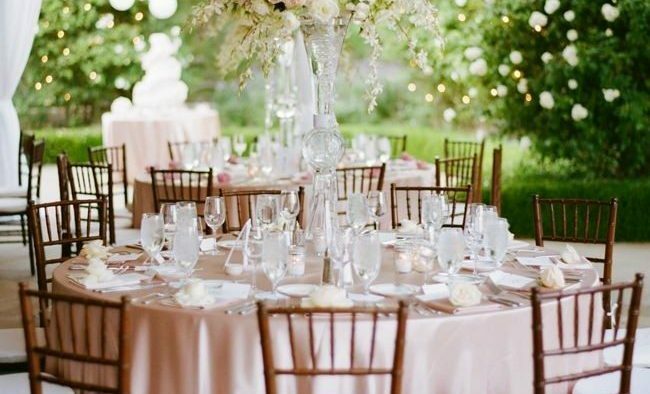 Imagine a wedding where crystal drips from the rafters and blush roses bristle from tower vases. The bride rustles in wearing a satiny ballgown, raising a hand weighed down with a knock-out rock. Her nails are buffed to a shine. Not the first thing you think of when you think of “green weddings,” is it? But it could be. Which is exactly the point that Meghan Meyers, creator of ecological bridal magazine PortOvert (phono-French for “door to green”) is trying to get across. “We’re not talking sheaves of wheat and burlap table runners,” she says. 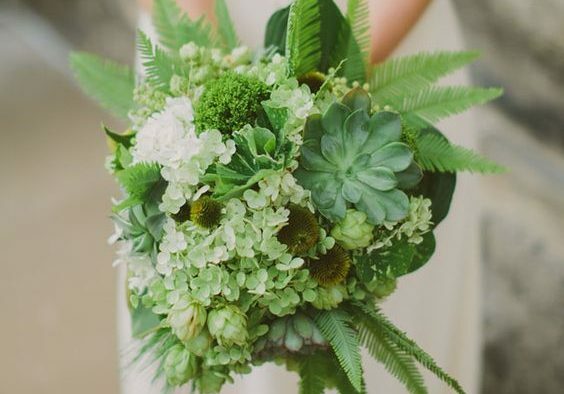 “A green wedding doesn’t have to look like one. Nobody has to know unless you choose to tell them.” Although, she muses, she doesn’t know why you wouldn’t. In Meyer’s eyes, the heart of a green wedding is making smarter choices. Not perfect ones, necessarily. Not-the-best of-all-possible-worlds choices, like trying to get your hands on organic crème fraîche in rural Nova Scotia. But smarter, by doing your research ahead of time, and sussing out things you can re-use or rent. 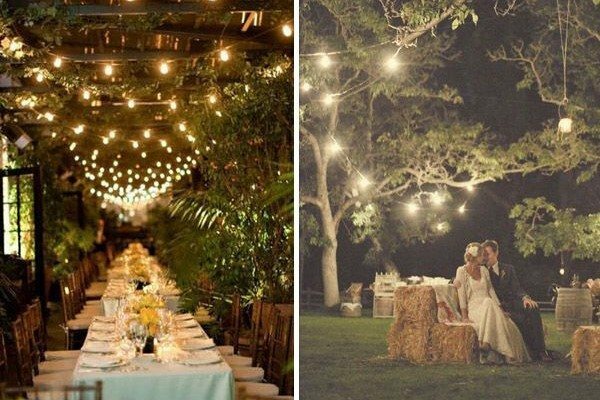 “Green weddings are going mainstream,” she says. And Meyers, no Jane-come-lately to environmental concerns, should know. A former Family Circle editor and sustainable travel writer, she’s been covering this beat for years. “I started a non-profit agency for animals when I was eight years old,” she says, laughing. Green weddings aren’t exactly new. Punch any vaguely-green topic that might involve weddings into a search engine, and you’ll see the early colonizers of the marketplace: eco-friendly wedding bands, pesticide-free bouquets. But if you get the feeling that the balance has tipped, somehow — moved past the early adopters — you’re not alone. In geek speak, green weddings have probably graduated to the so-called early majority. So what got them there? Celebrities, mainly, says Meyers. 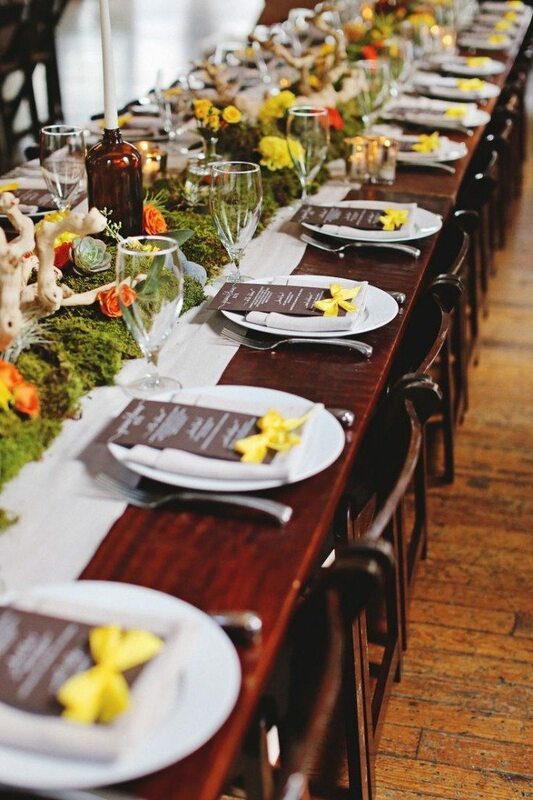 It’s fashionable among the jet set to spruce up their shindigs with toxin-free flowers and savory organic fare. For example: Elizabeth Hurley, who’s planning a two-country, seven-day mega-wedding this spring, elephants included. “She’s on the natural food bandwagon, so her entire menu’s organic,” says Meyers. 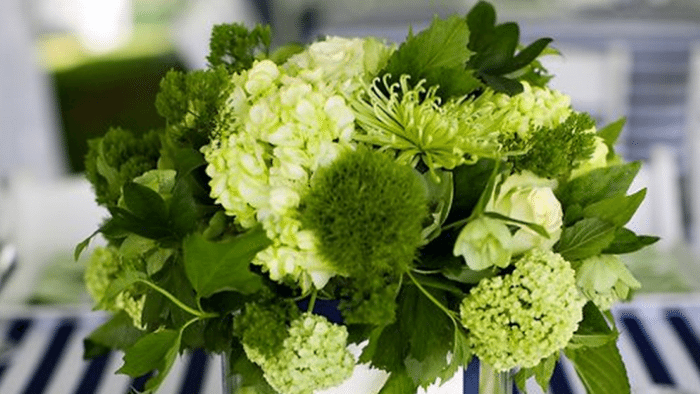 Alicia’s wedding was probably the epitome of green-meets-beautiful. She ticks off other examples: Stella McCartney, whose hush-hush wedding involved sustainable clothing and organic food. Prince Charles, who cut into an organic fruitcake and ordered pesticide-free blooms for his wedding to Camilla. And Alicia Silverstone, a prominent vegan who nonetheless wore Monique Lhuillier, not hemp, down the aisle. Which suggests a suspicion that may have crossed your mind. Namely, aren’t green weddings really for the beautiful people? A “money is no object” deal for those on the top of the heap? The equivalent of Star Jones excess with an earth-friendly spin? Not at all, says Meyers. You don’t have to take everything to the furthest possible limit. For example: candles. Paraffin is a petroleum byproduct, she explains — hardly green. And as every conscious consumer knows, beeswax and soy candles are earth-friendlier alternatives. But they cost more. “So if candles are a big part of your décor but you can’t afford beeswax, you can always choose fragrance-free candles,” she says, explaining that most candles are loaded with synthetic scents that give off soot. 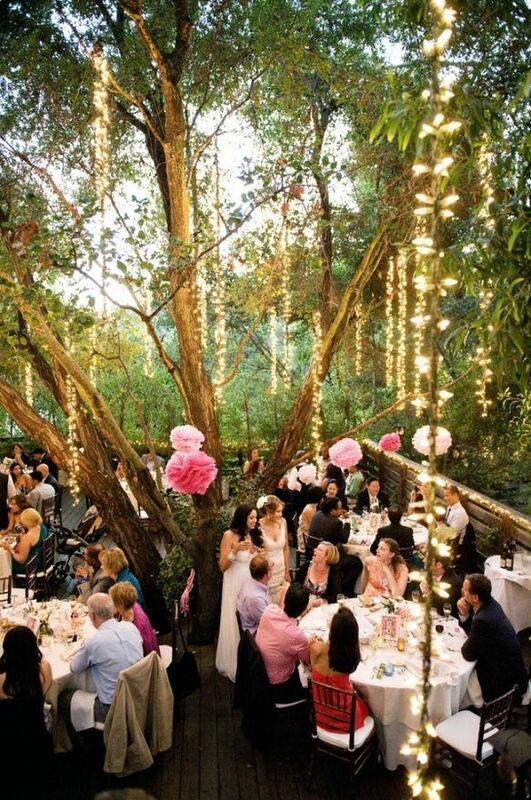 A beautiful green wedding can actually be be cheaper than the ones you see in Brides. “Of course you want to balance your budget, but almost everyone can find ways to make their wedding greener.” The how-tos of doing so, she explains, is exactly what PortOvert is about. 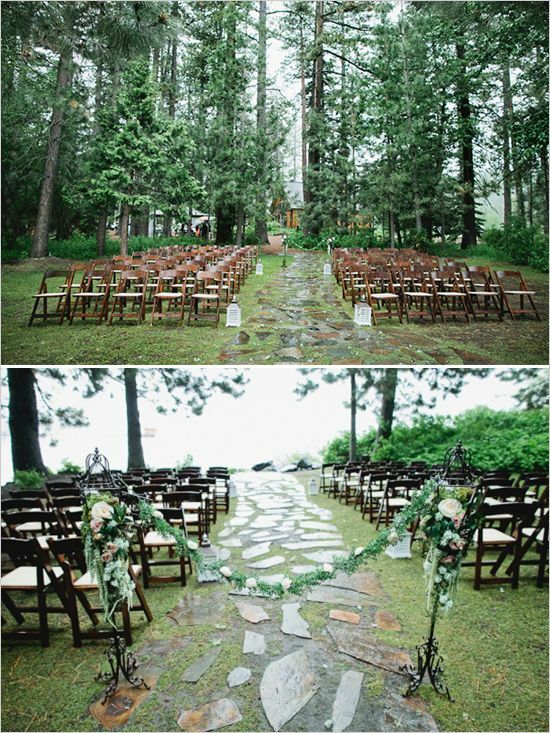 “A beautiful green wedding can actually be cheaper than the ones you see in Brides. Because you’re making sustainable choices. You might want that elegant, sparkly look, and we suggest sustainable ways of getting it. Such as hunting down vintage chandelier crystals to decorate your bare-branch centerpieces or chairs. This all seems fine for a connected couple in LA, where the finest (and purest) foodstuffs known to man show up at the local Trader Joe’s, and all-green catering companies and florists are cropping up all over. But isn’t it a little harder to pull off a green wedding in the kingdoms of corn and alfalfa, say? Winsted, Minnesota? McCracken, Kansas? Actually, no, says Meyers. It’s true that your choices are ampler (and sometimes simpler) in the big city, but when you look at the overall environmental footprint, the countryside has an edge. Organic is great, she adds. Great for the workers, great for the eaters — and yet, not always practical. “Organic agriculture’s working out really well in Northern Virginia, but Vermont keeps losing their crops. This story should strike a chord with any wedding planner. Haven’t we seen this before? Oh, right: themes. A few years ago, brides (and guests) saw wedding themes as real break from the box. At first, we painted them in the broadest strokes possible (think: early portable CD players vs. today’s 80 gig iPod). We had beach themes, heart themes … occasionally even Asian themes. That was about as crazy as it got — unlike today, where you see themes as individual as a given couple’s love story. 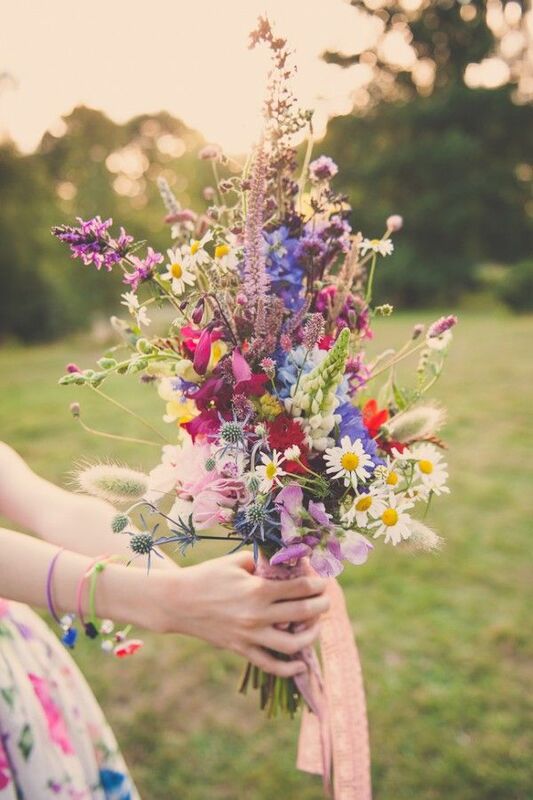 These days, green weddings are about making the effort all the way through. Green weddings are fruits of the same tree, it seems. In their infancy, they toed the line: hemp wedding gowns, vegan food, plantable favors (and nix the Styrofoam cups and plastic cutlery). But as they matured, they became something more personal. Aside from the George Clooney effect, what changed? Meyers, who’s seen this industry from multiple angles over the years, draws parallels to travel, pop culture, politics — and of course, food. And as more and more people hop on the green wedding bandwagon, the concept takes on a life of its own. Let’s say you’re a bride who’s new to the concept and short on time (imagine!). 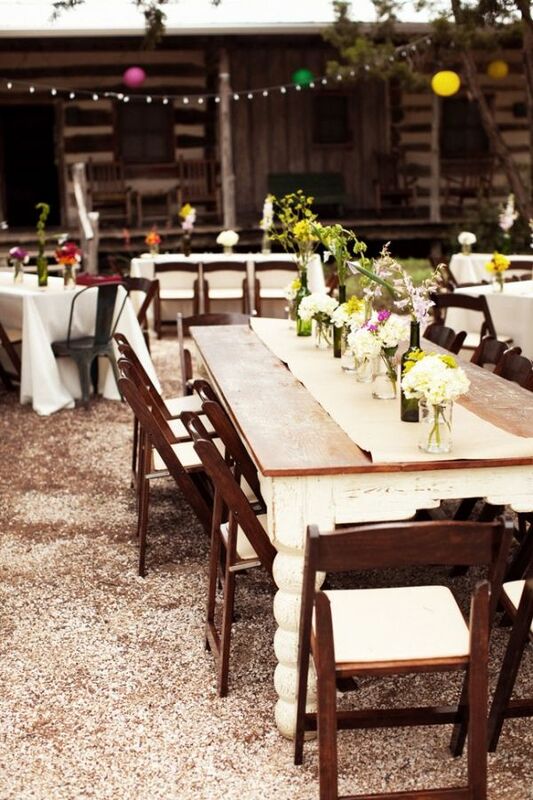 Aside from the food and the blooms, where would you focus? We asked Meyers to pick out the top three offenders in old-school weddings. The typical wedding dressis made from yards and yards of acetate or polyester, both petroleum byproducts that typically involve outgassing, static electricity and huge amount of energy to process, refine and transport. Meyers points out that in the $99 or less range, you won’t see too many alternatives to the petroleum-based wedding dress. But brides with a budget from $500-1000 have more options, including organic cotton, silk/hemp hybrids, and even eco-friendly rayons made from trees. Looking beyond the obvious, Meyers takes specific umbrage to floral foam. “It drives me crazy,” she says, pointing out that the foam is composed of phenol and formaldehyde, two over-the-top toxic products. “It’s cancer-causing for the workers, and a one-time-use product. And there are a ton of alternatives: floral frogs, tight arrangements. “Floral foam is pure evil.” She laughs, but it’s not a joke. We had to ask about “blood diamonds,” with all the hoopla going on between DiCaprio’s new movie and the diamond execs tripping over themselves to pose blinged-out celebs as a form of spin control. So what’s a bride to do? Or more specifically, how did Meyers handle it at her own getting-hitched? “Well,” she says candidly, “this was a couple years ago. I didn’t know everything then that I know now. “But I knew I didn’t want a tainted diamond. My husband designed my wedding ring. It was handmade in Vermont by a jeweler who carved it himself. The tiny little diamonds around the band were my grandmother’s, as was my day-of jewelry. The main diamond, we had to buy, and it said it was conflict-free from Canada.